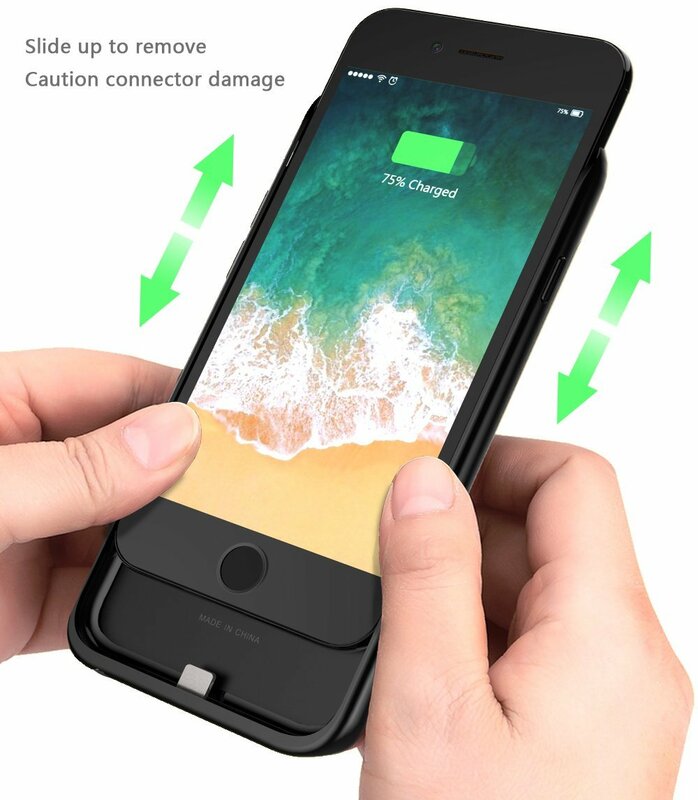 ➤LONGEST BATTERY LIFE: 5000 mAh capacity in this rechargeable protective portable charging case, up to 200% battery charge for your iPhone 8/7/6S/6. It is compatible with Apple Earpods with Lightning connector or traditional 3.5mm headphones. 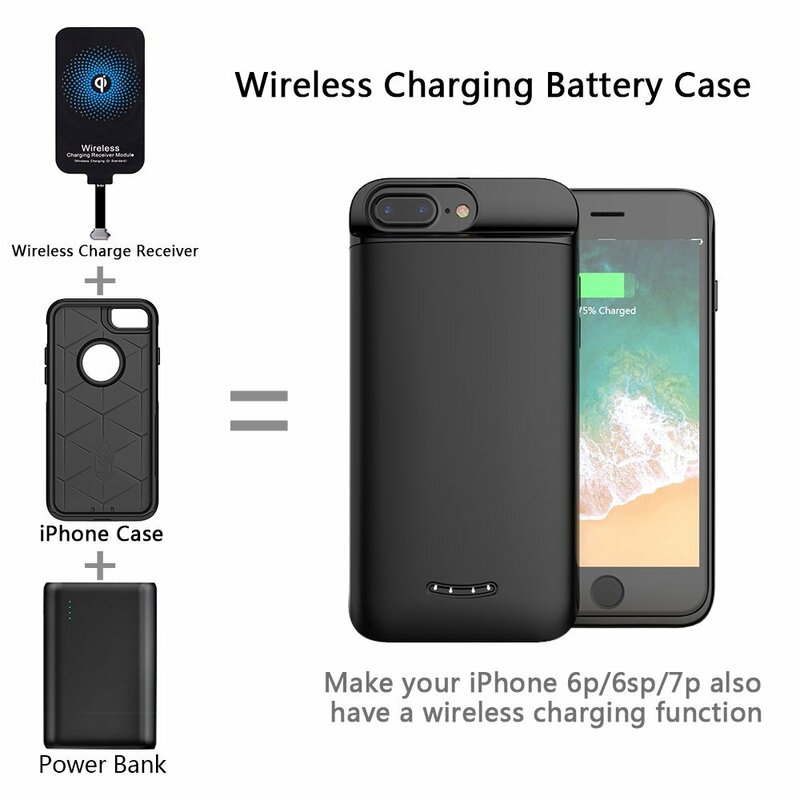 ➤WIRELESS RECHARGEABLE BATTERY CASE: Wireless charge compatible 5000mAh capacity charging battery case makes your iPhone 7 wireless charging. 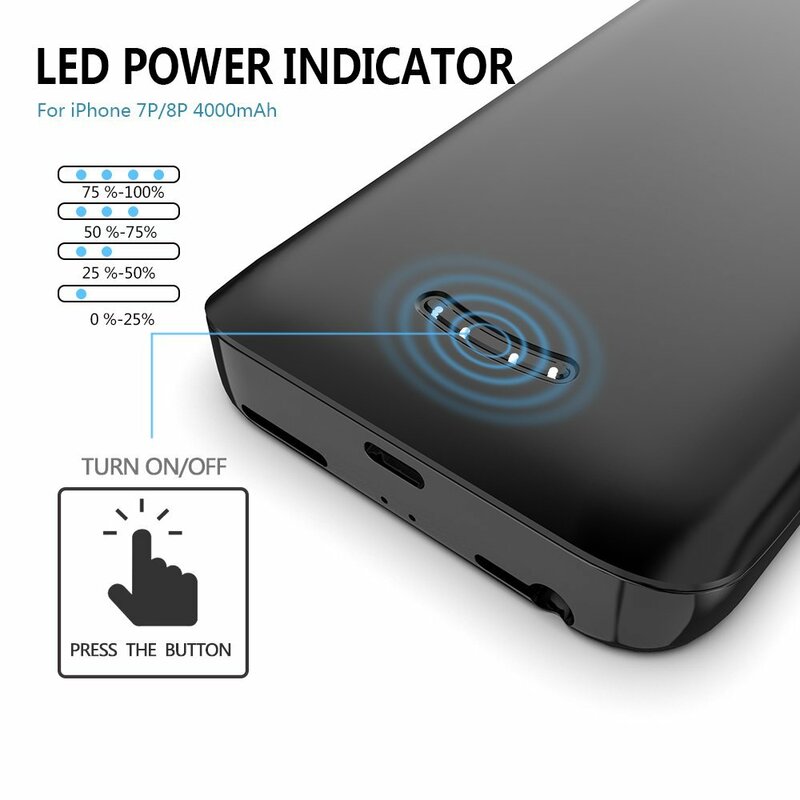 Doubles your iPhone battery power keeps you going throughout the day and equipped with power level indicator LED lights. 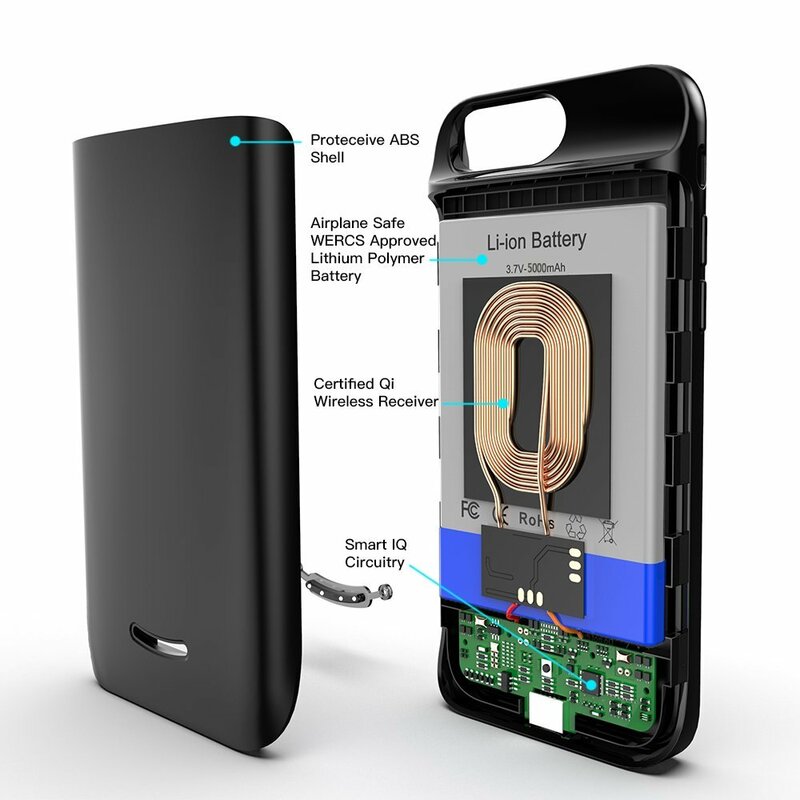 ➤COMPATIBLE WITH Qi WIRELESS CHARGING: Any Qi wireless charging pad (not included) can charge the apple charging case or iPhone battery case+ cellphone phone. 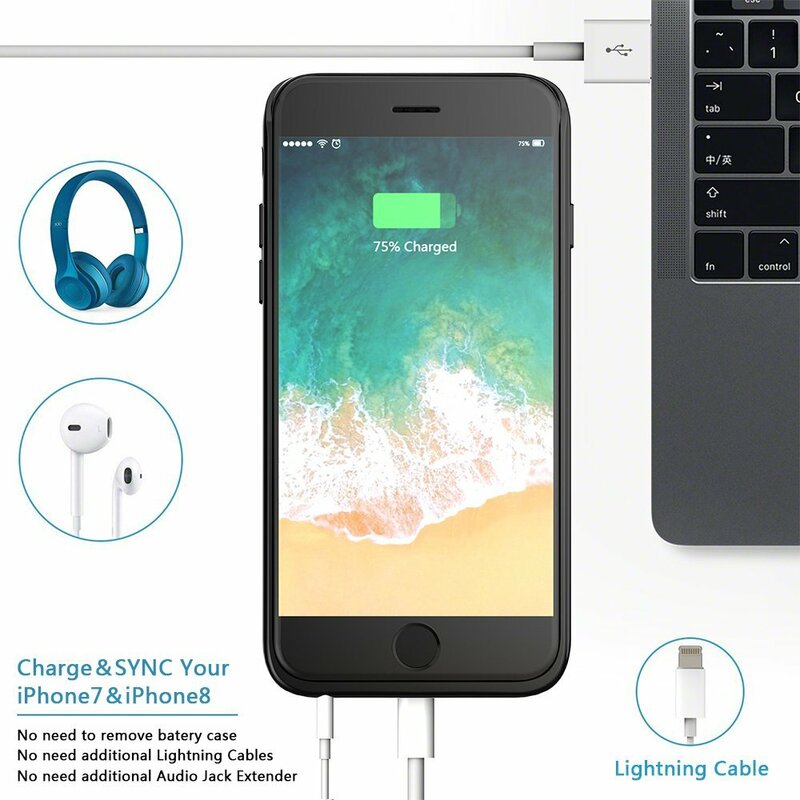 ➤LIGHTNING CONNECTOR: The lightning connector on charging case provide Ear Pods volume adjusting, music and video play control, and answer or end calls. ➤100% SATISFACTION GUARANTEE: 1-Year manufacturer's warranty and with 30 days money back guarantee. No cable any more! Supports universal wireless charging. 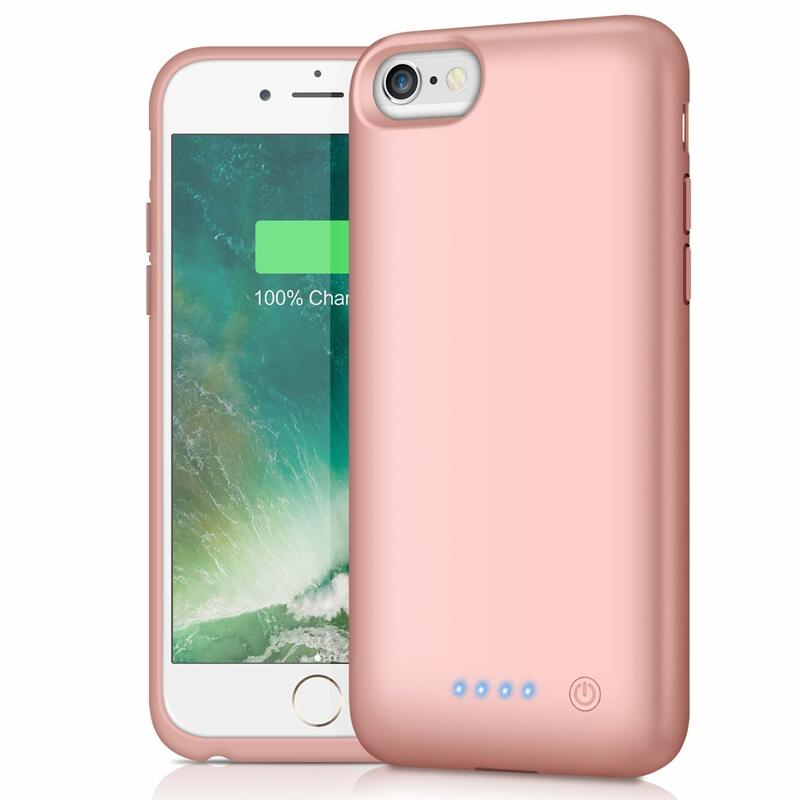 This Qi wireless battery case double your iPhone 6/6s/7/8 battery power to keep you going throughout the day. Essential for traveling, camping, road trips and other occasions. 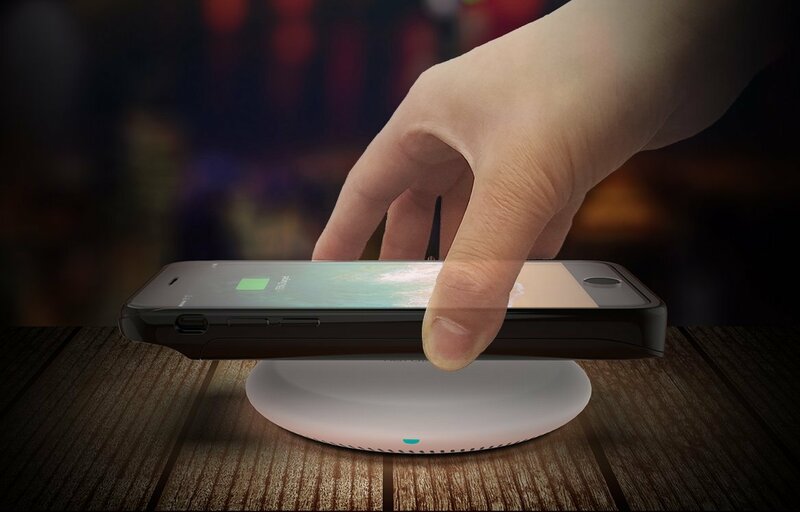 Simply place on any wireless charging pad to start charging. 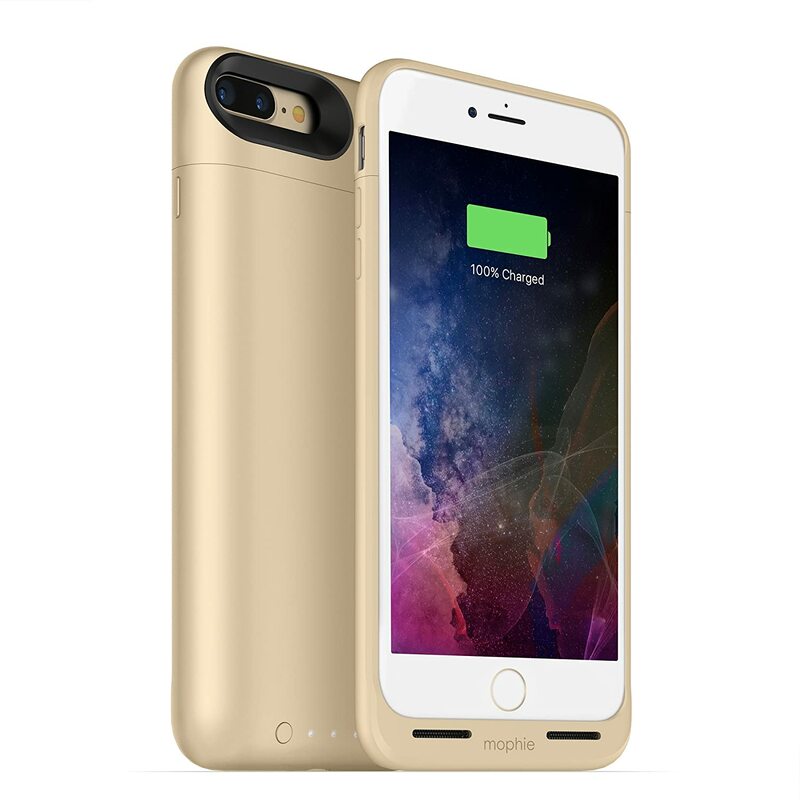 It will charge your iPhone 6/6s/7/8 first to full then your battery case next. 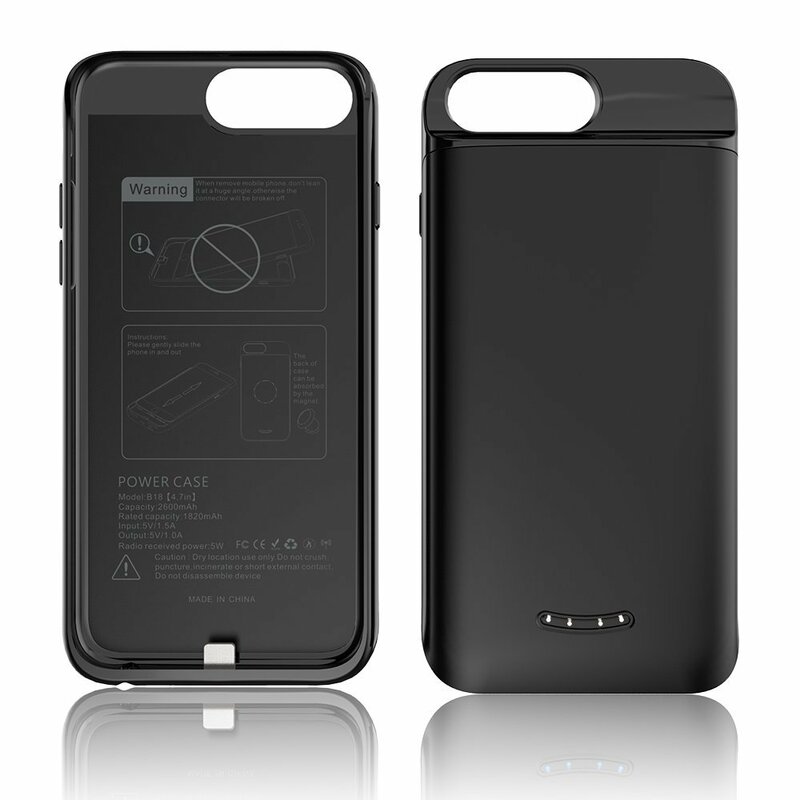 If placed over night, both your iPhone and battery case should be fully charged to use for the rest of your day. Protective two-piece casing and frame provide a tough protective shell that surrounds the phone. 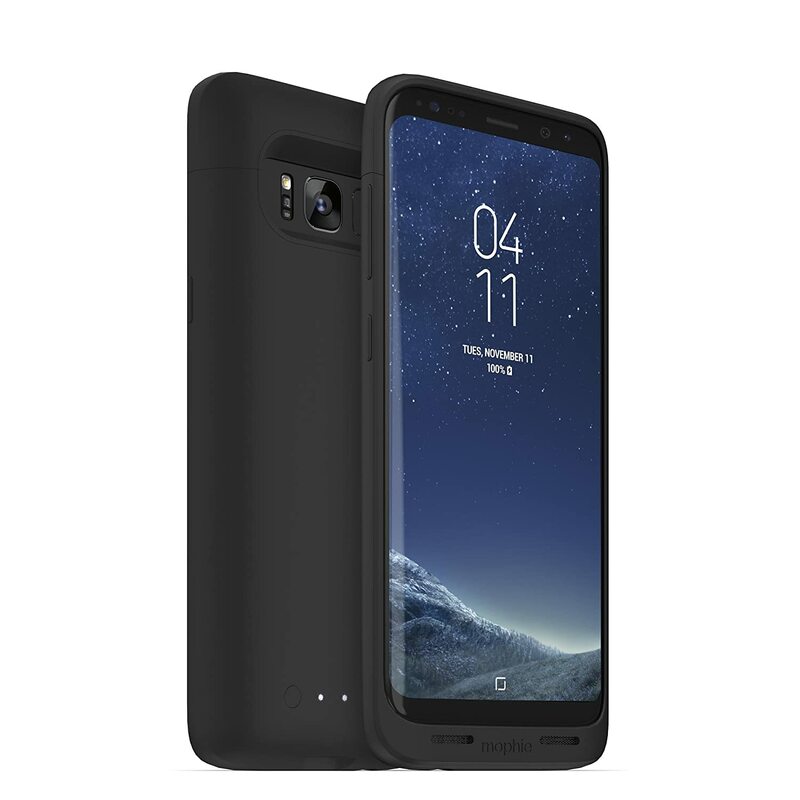 The wireless charger battery case is designed with the user in mind; the elegant black profile of the case makes it the perfect matching accessory in almost any situation. 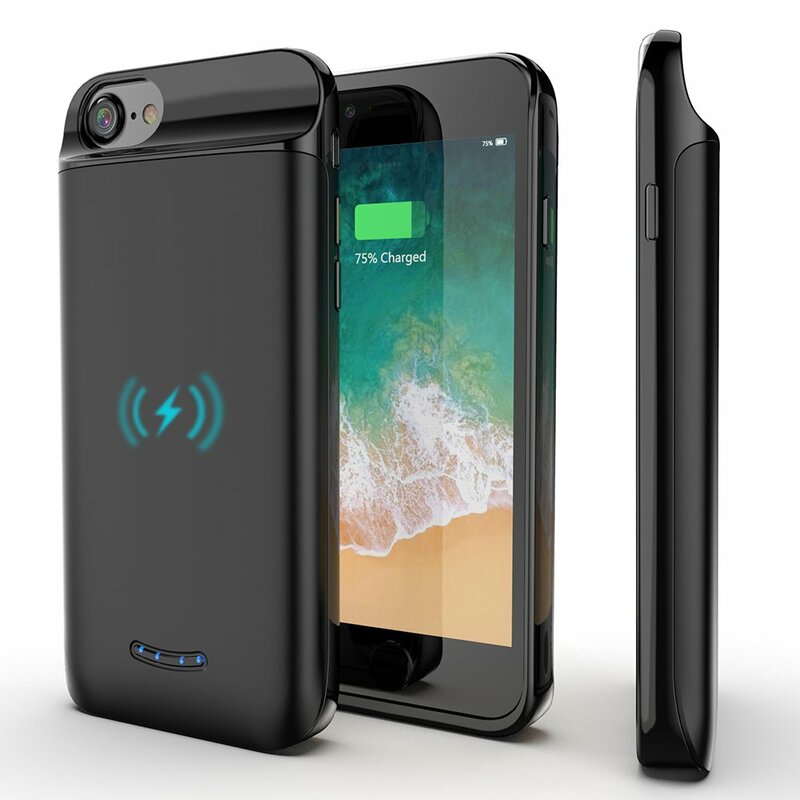 Featuring perfect cutouts for the camera, buttons and screen, plus equipped with LED power indicator lights, the wireless charger battery case certified to work with the iPhone. Industry-leading battery life doubles your iPhone battery power to keep you going throughout the day for traveling, camping, road trips and other occasions. When remove mobile phone,don’t lean it at a huge angle,otherwise the connector will be broken off.